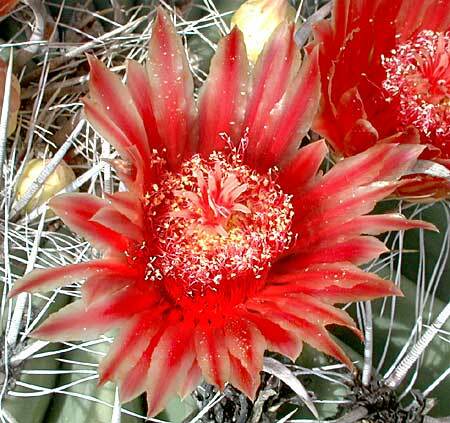 Other names: Candy barrel cactus, fishhook barrel, visnaga, compass barrel, Wislizenus's barrel, biznaga, bisnagre, chiávul. 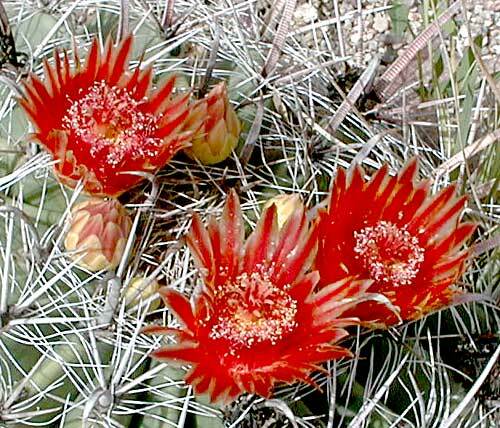 Notes: 3 species of Ferocactus in Arizona. Candy barrel cactus plant profile on the USDA Plants server.